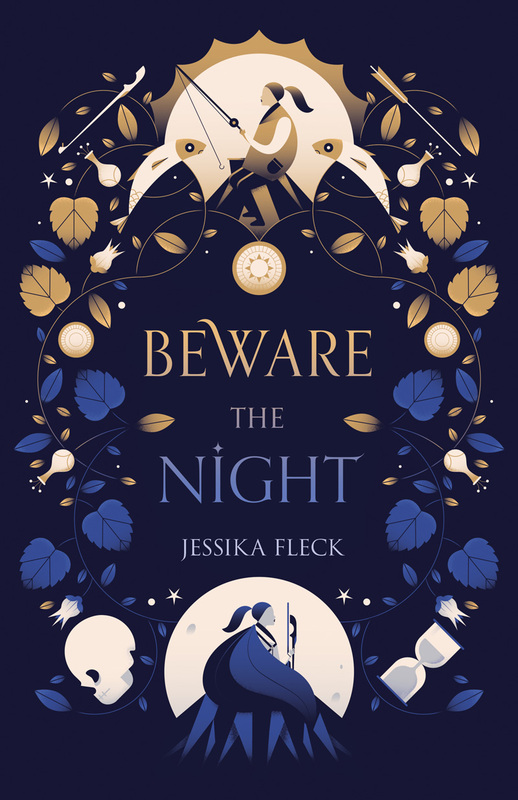 Beware the Night released earlier this week, and I am excited to host the author of the novel, Jessika Fleck, on the blog today! Let’s start off with a little about your book—give us the elevator pitch for Beware the Night. First off, I’m so happy to be here at The Heart of a Book Blogger to chat about this book I simply adore—thank you so much for having me! Here’s an elevator pitch for Beware the Night: When her world divides, pitting light against dark, Veda must join a dangerous revolution to save her grandfather and fight against injustice…even if it costs her the boy she loves. Beware the Night introduces us to a new fantasy world. What was your world-building process? Definitely multi-layered with a bit of hit or miss mixed in. As with most of the books I write, I started with a sort of loose idea of what I wanted and then let things evolve naturally. It was probably my second pass when I began sprinkling in themes and small details that hopefully made Bellona unique and lent to its own bit of magic (since it’s not a magic-fantasy book, I really wanted the setting to feel mysterious and charming yet still relatable and not too far off from our own world). I knew from the beginning that Beware the Nightwould be set on an island (though it was originally a series of several islands all linked by canals and the sea which ended up being a logistical nightmare). My very first inspiration came from my memories of visiting Venice and Rome many years ago. I wanted that Mediterranean feel but more rustic and with snow and hourglasses and sun worship. Fingers crossed I pulled that off! What are three facts we should know about Veda and Dorian? Dorian is all tough exterior but he’s truly a mushy, sweetheart on the inside. Veda’s sort of the opposite—she’s all heart on the outside and would keep the entire island with fresh fish to eat if she was allowed. On the inside, though, she’s very much a warrior. They love to flirt with one another nearly as much as they love to be at complete odds. In Beware the Night, Veda turns away from the Sun and joins the Night. Do you like to write during the daytime or at night? I like to write during the day, preferable in the early morning. My brain seems to work best then (thank you coffee!). Though, I do love the nighttime—there’s something magical about the sun going down and everything being cast in darkness and the moon’s glow. For all the writers out there, what piece of writing advice would you give them? It’s a little cliché, but I promise it’s true: don’t give up. My road to publication has been a bumpy and winding one littered with rejection and shelved manuscripts and much frustration. But with all of that, I’ve learned and improved and grown so much (and I continue to learn and improve and grow). Persistence truly is key. Oh, and find yourself an amazing critique partner—they’re worth their weight in gold. Is there anything you can tell us about the Beware the Night sequel? Jessika Fleck is an author, unapologetic coffee drinker, and knitter — she sincerely hopes to one day discover a way to do all three at once. Until then, she continues collecting vintage typewriters and hourglasses, dreaming of an Ireland getaway, and convincing her husband they NEED more kittens. Her YA debut, THE CASTAWAYS (Entangled TEEN), is now available. Her next YA novel, BEWARE THE NIGHT (Swoon Reads/Macmillan) releases March 12, 2019. An island full of sun worshippers: sounds like a great spot for a vacation! An island definitely sounds like a nice vacation spot! Thanks for including me, Giselle! Sounds amazing! I’m so excited to read it.